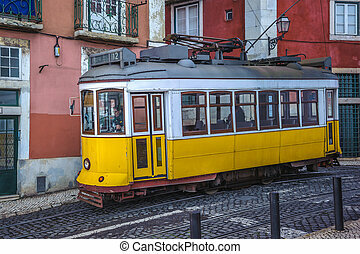 Historic yellow tram 28 of lisbon. 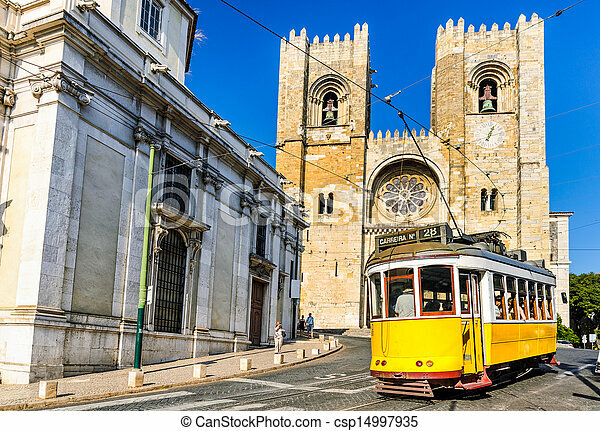 Historic yellow tram (line 28) in front of the lisbon cathedral, portugal. 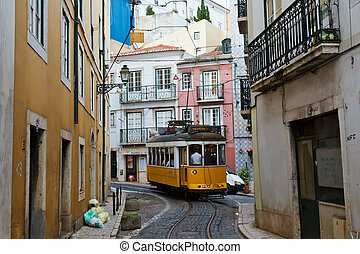 Historic tram line in front of Lisbon Cathedral in Alfama district, Lisbon, Portugal. 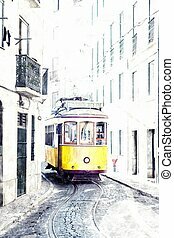 Lisbon street with typical yellow vintage tram and Se de Lisboa in sepia monochrome background. 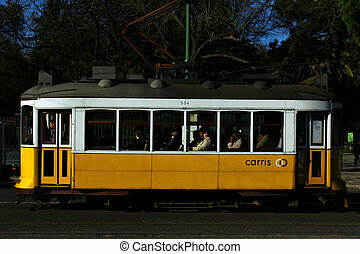 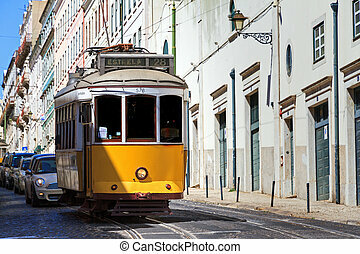 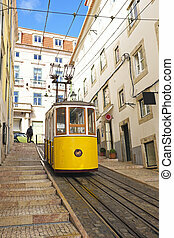 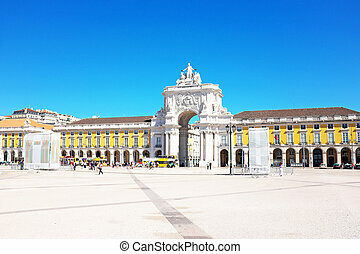 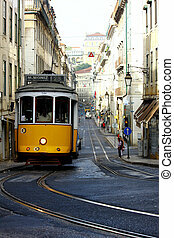 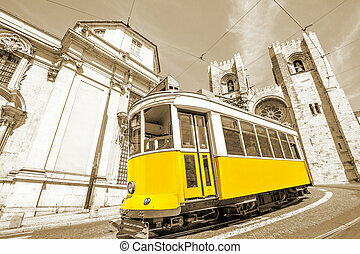 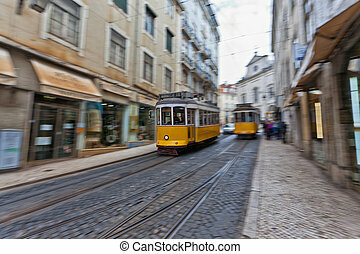 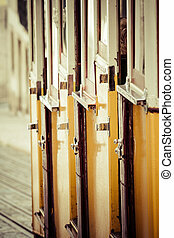 Beautiful image of the traditional yellow trams in Lisbon, Portugal. 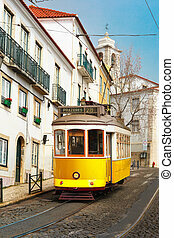 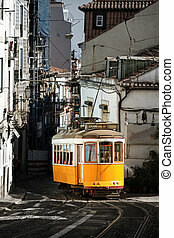 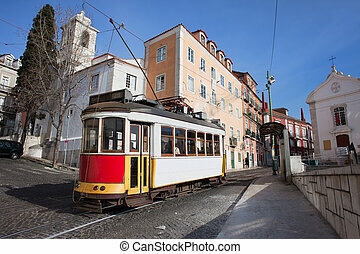 Historic tram nr 28 on the street of Alfama district in the city of Lisbon in Portugal.